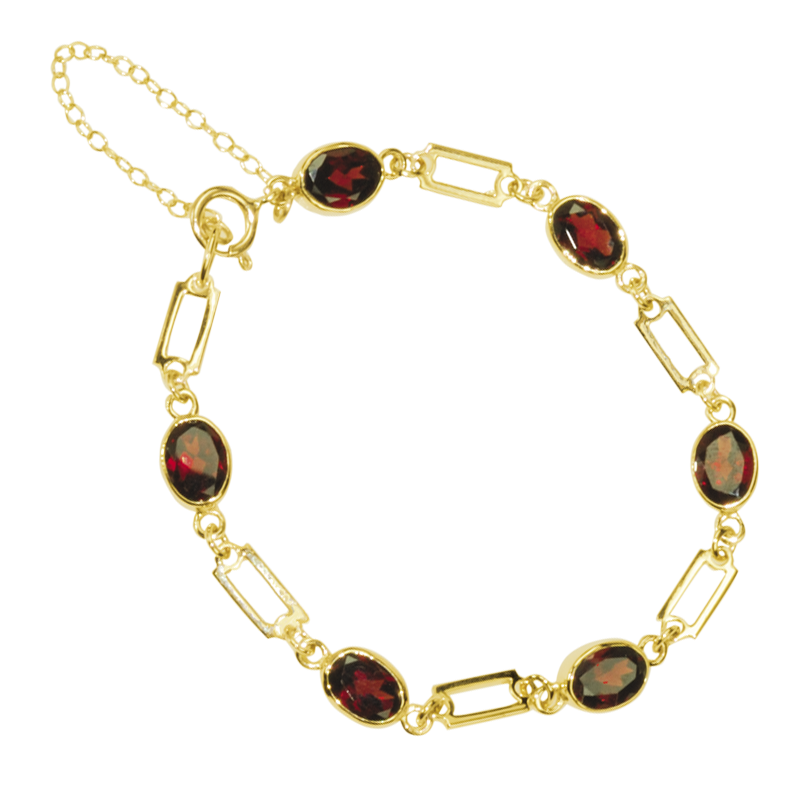 Heritage Bracelet In GarnetCreated using 9ct gold and fiery faceted garnets, this exclusive Shipton & Co piece is offered individually or with matching items as a suite to bring together some of our longest serving, Victorian archive designs. Appropriately enough garnets are symbolic of constancy. Six faceted 8 x 6mm gemstones set between rectangular links. At approx 6 3/4" long, the bracelet is sized for the smaller wrist. Extra links may be added on request.